I have been fortunate to represent many people and companies in various areas of the law, both criminally and civilly during my 25 plus years of practice. The cases I have handled have enabled me to argue before many courts and administrative agencies and bodies; which include the United States Court of Appeals for the First Circuit and the Supreme Judicial Court of Massachusetts. The cornerstone of my success is the quality relationship which I maintain with my clients. Clients are treated with integrity and respect for their needs, goals, and objectives. I focus on intelligent legal representation and pledge to listen to and communicate with my clients so that they are always aware of the process and progress of their case. 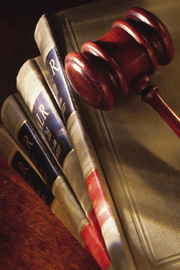 No fee is charged in any personal injury action unless there is a successful resolution of the matter. If you would like to learn more about me, call 978-531-8100 or use this easy contact form. Copyright © by Mitchell J. Wallman. All rights reserved. You may reproduce materials available at this site for your own personal use and for non-commercial distribution. All copies must include this copyright statement. This FirmSite® is designed and hosted by FindLaw®, a service of Thomson-West.